The solfeggio frequencies are reputed to be the original frequencies used by the Gregorian Monks when they chanted. The chant, based on the six notes, penetrates deep into theconscious and subconscious mind, drawing forth emotional reactions which we are sometimes unable to completely control. Dr. Candice Pert, PhD, reinforces this observation stating, “Energy and vibration go all the way to the molecular level. We have 70 different receptors on the molecules and when vibration and frequency reaches that far they begin to vibrate”. These original frequencies appear to have been ‘lost’ over the centuries with the introduction of various new tuning methods. So, matter does not exist and DNA functions like a laser. Modern physics has also postulated that DNA may function as a type of holographic projector which translates low vibrational state energy into ‘physical patterns’. These physical forms behave in a similar way to acoustic wave forms and as such can be used as a means for decoding genetic information through sound. David Hulse is credited with recognizing sound resonance as a basic principle of good health. He studied how certain sounds and frequencies could activate DNA and discovered that biochemists use the 528Hzfrequency of the solfeggio scale to repair DNA. Music and sound can be a very powerful transformational tool for the human body and soul. However, information has come to light in recent years our modern day musical scale has been robbed of its vast potential for healing and transformation, and there was once an even more powerful, time-honored tonal scale known as, the "original Solfeggio frequencies." These original Solfeggio frequencies, still have the capacity to transform your life in miraculous ways. Their origins date back to ancient times when they were sung in the Gregorian chants during religious ceremonies in churches of that time period. But strangely, around 1050 AD, they mysteriously disappeared, presumably lost forever. The Solfeggio frequencies contain the six pure tonal notes which were once used to make up the ancient musical scale, until, it has been presumed, they were altered by the Catholic Church and Pope Gregory I, (better known as "Gregory the Great"), who served from 590 to 604 AD. The Church claims they have "lost" 152 of these amazing ancient Gregorian chants, but more than likely, they have been purposely locked away in the bowels of the Vatican archives. One of those sacred chants, however, known as, "The Hymn to St. John the Baptist," has re-emerged and now can be found on a few select CD releases such as, "NPR Milestones of the Millennium: CHANT – Hymns and Sequences – Gloria in Excelsis Deo," which is available on the iTunes music store. This hymn also goes by its Latin name which is, "Ut Queant Laxis Resonare Fibris [Hymn]," and can be found on the CD, "Chant II" by The Benedictine Monks of Santo Domingo de Silos. "The Hymn to St. John the Baptist" has become known as the most inspirational hymn ever written and features all six Solfeggio notes. Our modern day musical scale is slightly out of sync from the original Solfeggio frequencies and is, consequently, more dissonant as it is based upon what is termed the "Twelve-Tone Equal Temperament." In ancient times, the musical scale was called "Just Intonation." And also, our modern music falls within the A 440 hz frequency, which was changed from A 417 hz, around 1914. In addition, a 7th note was added in the form of a "SI," or a "TI," as in the "DO, RE, MI, FA, SO, LA, TI" vocal scale, while the original Solfeggio scale was composed of only six notes: "UT, RE, MI, FA, SO, LA." "According to Professor Willi Apel, 'The origin of what is now called Solfeggio ...arose from a Mediaeval hymn to John the Baptist which has this peculiarity that the first six lines of the music commenced respectively on the first six successive notes of the scale, and thus the first syllable of each line was sung to a note one degree higher that the first syllable of the line that preceded it. By degrees these syllables became associated and identified with their respective notes and as each syllable ended in a vowel, they were found to be peculiarly adapted for vocal use. Hence 'Ut' was artificially replaced by 'Do.' Guido of Arezzo was the first to adopt them in the 11th century, and Le Marie, a French musician of the 17th century added "SI" for the seventh note of the scale, in order to complete the series. Further research states that, "Pope Johannes later became a saint - Saint Iohannes - and then the scale was changed. The seventh note 'SI' was added from his name. 'SI' later became 'TI.' These changes significantly altered the frequencies sung by the masses. The alterations also weakened the spiritual impact of the Church’s hymns. Because the music held mathematic resonance, frequencies capable of spiritually inspiring mankind to be more 'Godlike,' the changes affected alterations in conceptual thought as well, further distancing humanity from God.' In other words, whenever you sing a Psalm, it is music to the ears. But it was originally intended to be music for the soul as well or the 'secret ear.' Thus by changing the notes, high matrices of thought and to a great extent well being, was squelched. Now it is time to recover these missing notes." DR. JOSEPH PULEO and DR. LEONARD HOROWITZ – "THE MUSIC SHALL SET US FREE"
Dr. Joseph Puleo, (pictured right), a naturopathic physician and one of America's leading herbalists, who began his research into this field in the mid-1970's. He was Divinely inspired to examine the Bible where he uncovered in Genesis: Chapter 7, Verses 12-83 a pattern of six repeating codes around a series of sacred numbers, 3, 6 and 9. 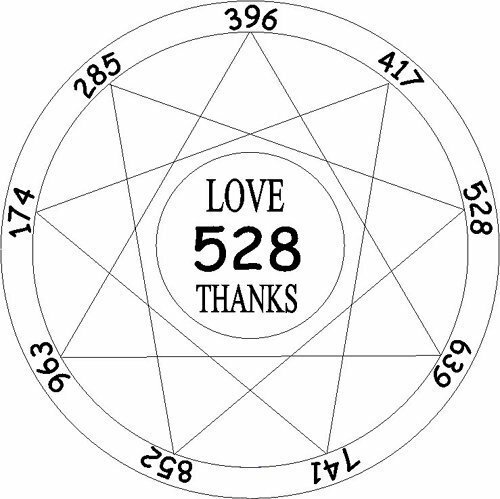 When deciphered using the ancient Pythagorean method of reducing the verse numbers to their single digit integers, the codes revealed a series of six electromagnetic sound frequencies which correspond to the six missing tones of the ancient Solfeggio scale. During his investigation, Dr. Puleo was treated rather peculiarly when he asked some pointed questions of a Monsignor in Spokane, WA about the musical scale. In what some have called a mystical coincidence. Dr. Puleo became convinced that the Solfeggio frequencies were of extreme importance and were being purposely censored by the Catholic Church. Along with Dr. Leonard G. Horowitz, known for his great work in investigating AIDS and vaccines, he co-authored the book, "Healing Codes for the Biological Apocalypse,"released in 1999. This book has been instrumental in making the world aware of the power of the ancient Solfeggio frequencies. Since its release, Dr. Horowitz has continued his tireless and incredible research into the Solfeggio tones and is now offering video tutorials to assist musicians in how to tune a guitar or a synthesizer keyboard instrument (parts 1 and 2) to the correct Solfeggio scale. More information can be found at www.love528.com. He has also formed a recording company, Tetrahedron Records, and has recruited artists, such as guitarist Scott Huckabay, who are producing music implementing the Solfeggio tuning scale. In addition, Dr. Horowitz has organized a world-wide concert event known as the Concert for the Living Water | LiveH2O, which has become an annual event during the Summer solstice. Dr. Horowitz is adamant the solution to all of humanity's problems lies within the music, which he believes is precisely what the Bible was referring to when it reads, "and first there was the Word." 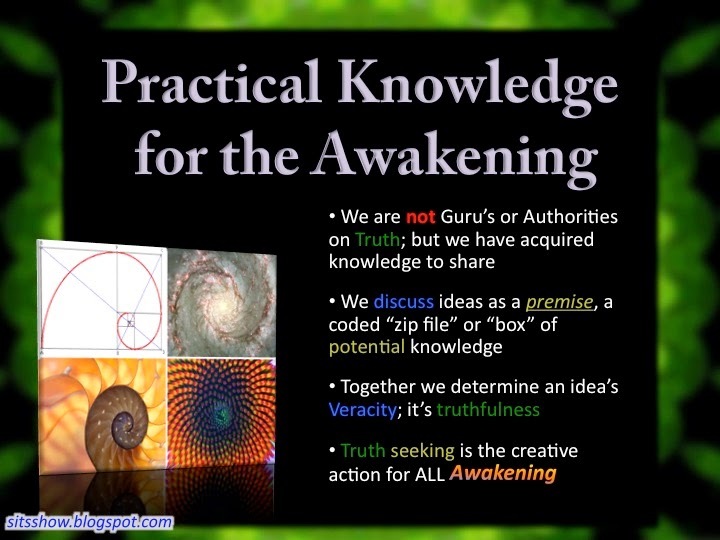 Dr. Horowitz believes the "Word" means the music, or, the frequencies. He has therefore christened this ancient musical scale as "The Perfect Circle of Sound" due to its immaculate symmetry of mathematics, sacred geometry (three perfect triangles) and sound frequencies, which emanate directly from the Divine Creator. He has since deduced there are three more perfect notes which should be added to this scale. They are the 174 hz, 285 hz at the bottom of the scale, and the 925 hz at the top, which when added in with the six original Solfeggio frequencies, create three perfect triads of notes: 3 x 3 = 9. With 9 being the sacred number of completion. "There is nothing missing, nothing broken, as the religious world says, in the Kingdom of Heaven," Dr. Horowitz said recently of the "Perfect Circle of Sound." "The Kingdom of Heaven, in the world of physics and mathematics, is called 'the musical mathematical matrix." So (now) we've got the core, creative frequencies of that matrix, where there is nothing broken, there is no dis-ease, there is no diss-onance, there is only harmony with this communion Divine, which is the optimal harmony," he concluded. There is a growing number of recorded music and meditation CD's that are being released that incorporate the Solfeggio frequencies and they may help to heal your body and balance your chakra system. Here is a rundown of some of the more notable artists empolying the Solfeggio scale in creating their music. One of the primary musicologists incorporating the Solfeggio frequencies is author, composer and musician, Jonathan Goldman, who has produced several notable musical CDs that contain ancient healing tones including the Solfeggio frequencies. Of these, it would be worth particularly exploring his CD releases entitled: "Holy Harmony," "The Lost Chord," "Waves of Light," "2012 Ascension Harmonics" and "Frequencies: Sounds of Healing." These are just a few of his many musical offerings of which he has produced over thirty to date and counting. Dr. Leonard Horowitz calls Jonathan Goldman "one of the world's leading sound healing experts." And he believes that his "Holy Harmony," recording "is creating miracle after miracle after miracle for people." "I recommend you add prayer to it and listen to it at night, and it will not only put you to sleep, but it will cause these miraculous transformations to occur in your own body that you've prayed for," he adds. This CD can be purchased from our amazon.com store by clicking on the link below. Jonathan Goldman is also the author of several books on healing tones including "The 7 Secrets of Sound Healing," "Tantra Sounds," "Shifting Frequencies" and "Healing Sounds: The Power of Harmonics." The book, "The 7 Secrets of Sound Healing" also includes a companion CD. He has also produced a video entitled, "Healing Sounds with Jonathan Goldman," and appears on another DVD entitled, "Of Sound Mind and Body," along with John Beaulieu, Don Campbell, Deepak Chopra MD, Kay Gardner, Steven Halpern, Jill Purce and Bernie Siegel, MD. You can find more information and view many more video clips about Jonathan Goldman in our Guide to New Age Music section. Another fabulous musician employing the sacred Solfeggio Frequencies in his unique brand of music is instrumental guitarist and one-man band, Scott Huckabay. He has produced a series of CDs in which he has changed the tuning on his guitar to the A444 tones, or the "Love 528, rather than the modern A440 hz. Scott Huckabay refers to himself as a "guitar alchemyst," while Jonathan Goldman has dubbed him "the Jimi Hendrix of inspiriational music." Upon teaming up with Dr. Horowitz, he has created a series of six recordings that specifically incorporate "The Perfect Circle of Sound" tuning of the original Solfeggio frequencies. Together they have formed a new recording label Tetrahedron Records, which features these six CD's: "Luminocity," "The Light Wins," "Walk on Water," "Beam Us Up, Scotty," "Rain Dancer" and "Love Live in 528." These special six CD's can be only be ordered directly from the Healing World Distributing web site, which carries many other products by Dr. Horowtiz. More information on Scott Huckabay can be found in our Guide to New Age Music section. Both Scott Huckabay and Jonathan Goldman have been recruited by Dr. Horowitz to participate in his LiveH2O Concert for the Living Water event which will place in 2009 during the summer solstice from June 19-21 in thirty different locations around the world. The official web site for this event is,www.liveh2o.org. The other artists who will be participating in this concert include White Eagle Medicine Woman and Grandmother Drum; Gemma Bulos; LAL; The B.O.L.T;Peter Sterling; Rosita Stone; Clan Dyken; Bill Miller; Tony Selvage; Leesa Sklover; Kumiko and Iben Larssen. In addition, there are several other artists who have created CD's using the Solfeggio Frequencies that can also be found on the Healthy World Distributing store. 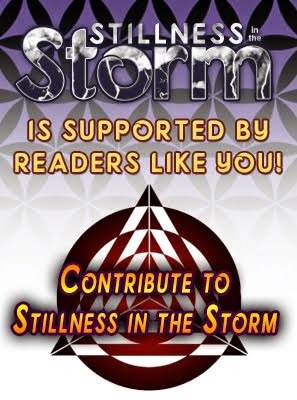 These include Al Harris' "Divine Harmony"; White Eagle Medicine Woman's "Journey of the Heart" and "Songlines of the Soul"; and a CD entitled, "Solfeggio Healing Tones" by Dan Kunkle and Dr. Leonard Horowitz. For more information go to the Healthy World Store. Source Vibrations is another fantastic resource for original Solfeggio frequencies music. This music was composed by Jason Welch, a licensed hypnotherapist, who has also produced an array of accompanying videos. Source Vibrations is a multidimensional audio-visual project that utilizes numerology, sacred geometry, sonic vibrational healing, Solfeggio harmonics, binaural beat frequencies and esoteric symbology to activate the subtleties of the awareness of the nature of being. Through the language of art and music these vibratory data streams, point to the inherent, inter-connected, inter-dependent nature of consciousness and its foundation in Source Intelligence. Source Viibrations Solfeggio music is very powerful and very transformative. We give it one of our strongest recommendations! Below you will find a sampling of some of the music and the videos from Source Vibrations. More videos can be found at the Source Vibrations YouTube page. You can purchase their Solfeggio Harmonics music as individual .mp3 downloads at the very reasonable prices of 11.11. They also offer longer selections such as "582hz Galactic Silver Fire Strand"; "693hz Violet Fire Theta Entrainment"; "714hz Reordering of Perception"; "825hz Silver Violet FIre" and "936hz Crystal Tourquise Mastery" with prices ranging from 17.87 for each. You will also find a selection of other original healing music such as Frequencey Assistedand Guided Meditations, directly from their web site,www.sourcevibrations.com. Other companies are also producing Solfeggio frequency products such as BrainWave Mind Voyages which has a CD in their catalogue entitled, "BMV Series 24 Sacred Healing Frequencies CD: Solfeggio Healing Tones (Brainwave Meditation)." And there are two additional DVD's by Blue Diamond Technologies that use both the Solfeggio frequencies and the "Moola Mantra," that is featured as some of the primary music in the Oneness Blessing. These DVD's are entitled, "Whales, Dolphins and Chakras" and "Diamond Serenity." Finally, there are a couple of free downloads of Solfeggio tones from the web site,www.solfeggiotones.com. The first is entitled "Solfeggio Ascension Tones" and is available as a downloadable .wav file while the second is the "Sedona 11:11 Solfeggio Frequencies" and come as six .mp3 files. In addition, there is a video explaining Solfeggio frequencies from the same web site that is entitled, "Saviors of Earth - The Solfeggio Ascension Frequencies." We encourage you to watch these videos and experiment with some of the music and meditation CD's. You may see some miraculous results unfold in your overall health and in your life.